Εγώ πάλι,πιστεύω οτι είναι από τα ιδανικότερα αυτοκίνητα για αστική χρήση. Δεν θα μπορούσα να λιώνω μια Μ3 Ε46 στην κίνηση της πόλης. Η χρυσή τομή θα ήταν ένα "old school" BMWδάκι για προςωπική χρήση και ένα "i" για όλες τις δουλείες. Μα φυσικά, φυσικά, δεν παρεξήγησα εσένα Στέλιο !!!!! Τον Παντέλο παρεξήγησα και αυτό γιατί του αρέσει !!!!! Μίλησα γα νυχτερινά escape και επίσης μίλησα για ένα πολύ ρομαντικό άρθρο του Καββαθά στα τέλη της 10ετίας του 70. Επιστημονική φαντασία του τότε που σήμερα γίνεται πραγματικότητα. To πρώτο BMW i3 παραδόθηκε στην ελληνική αγορά. Κηφισιά. Το πρώτο ηλεκτρικό αυτοκίνητο της BMW, το BMW i3, παραδόθηκε σήμερα 28 Φεβρουαρίου 2014 στις εγκαταστάσεις της BMW Σπανός Α.Ε. Συγκεκριμένα, ο πρώτος πελάτης στην ελληνική αγορά που απέκτησε το πρώτο ηλεκτρικό BMW i3, είναι η διοίκηση της Costa Navarino Resort. Ο χαρακτήρας του νέου βιώσιμου μοντέλου της BMW συνάδει απόλυτα με την Costa Navarino που αποτελεί τον πρώτο ολοκληρωμένο, περιβαλλοντικά υπεύθυνο τουριστικό προορισμό υψηλών προδιαγραφών στην Ελλάδα. Εντός των ημερών πρόκειται να ακολουθήσουν επιπρόσθετες παραδόσεις του ηλεκτρικού BMW i3 σε πελάτες της ελληνικής αγοράς. Η BMW Σπανός Α.Ε., είναι ο Επίσημος Αντιπρόσωπος της μάρκας BMW i στην Ελλάδα (Λ. Συγγρού 299 & Αμφιθέας, Νέα Σμύρνη τηλ. επικοινωνίας 210-9424 449). Η BMW Hellas ανακοινώνει την παροχή υπηρεσιών δημόσιας φόρτισης για τα μοντέλα της μάρκας BMW i.
Αθήνα. Η BMW Hellas στο πλαίσιο πρωτοποριακών υπηρεσιών που προσφέρει στους πελάτες της και πιο συγκεκριμένα, της ικανοποίησης των αναγκών των κατόχων μοντέλων BMW i, ανακοινώνει την παροχή δωρεάν υπηρεσιών δημόσιας φόρτισης για διάστημα έξι μηνών, το οποίο τίθεται σε ισχύ, από την ημερομηνία παράδοσης κάθε μοντέλου BMW i.
Οι δωρεάν υπηρεσίες φόρτισης αφορούν στο Δίκτυο «Fortizo», που αποτελεί το πρώτο Δίκτυο σταθμών φόρτισης ηλεκτρικών αυτοκινήτων στην Ελλάδα. Το Δίκτυο «Fortizo» αριθμεί προς το παρόν εφτά σημεία ταχείας φόρτισης στην Αττική. Τα έξι σημεία βρίσκονται στους σταθμούς στάθμευσης Polis Park και το έβδομο, στο εκθεσιακό κέντρο Metropolitan Expo, στην περιοχή του Διεθνούς Αερολιμένα Αθηνών. Οι κάτοχοι BMW i, παραλαμβάνουν από την BMW Hellas μία κάρτα φόρτισης RFID (Radio Frequency Identification), με την οποία έχουν ελεύθερη πρόσβαση σε όλους τους σταθμούς φόρτισης του Δικτύου «Fortizo» και μπορούν να φορτίσουν γρήγορα και με ασφάλεια το αυτοκίνητό τους, μέσω μιας πολύ απλής διαδικασίας. Η επίσημη ανακοίνωση της λειτουργίας του Δικτύου «Fortizo», από την Εταιρία Fortisis (υπεύθυνη εταιρία για το Δίκτυο «Fortizo») και τα Polis Park, θα πραγματοποιηθεί σε ειδική εκδήλωση στον Σταθμό Αυτοκινήτων Polis Park (Ριζάρη 4 και Βασιλέως Κωνσταντίνου 45, Κολωνάκι), την Τρίτη 15 Απριλίου 2014 και ώρα 17:30μμ. Next premium: BMW i3 wins Automotive Interiors Expo Award 2014. Munich. There are many facets to the sustainable character of the BMW i3. BMW i represents a prime example of “next premium”, the next generation of luxury headlined by the sustainability of its materials. The ambience this creates on board the BMW i3 can be experienced by the driver and passengers in considerable depth – and the international jury of experts for the Automotive Interiors Expo Award 2014 are now among its fans. The jury handed the electrically powered BMW i3 the title of Production Interior Vehicle Design of the Year. The third edition of these awards – which recognise exceptionally innovative concepts and solutions in the field of interior design – were held yesterday at the Automotive Interiors Expo in Stuttgart. The selection and use of materials is central to the BMW i brand’s all-embracing sustainability concept. This applies on a large scale to the use of carbon-fibre-reinforced plastic (CFRP) in the passenger cells of BMW i cars and also comes into play in many details of their interior design. The hallmark LifeDrive architecture creates new scope for optimising the use of space on board the car and for the design of the interior. The colour and trim concept includes extremely extensive use of renewable raw and recycled materials, as well as wood and leather surfaces treated using environmentally sound methods. The BMW i3 sets out to showcase sustainability through its design, as reflected by its cutting-edge, futuristic looks. The large, clear surfaces and bright ambience represent an expression of clean air and zero emissions. Large glass surfaces showcase the car’s lightweight design and lend the interior an airy, lounge-like character, while also offering the driver a better view over the road. Comfortable entry and a raised seating position are complemented both front and rear by exceptional freedom of movement thanks to an unbroken footwell extending across the full width of the interior. The car’s innovative, exclusive aura is accentuated by signature BMW i design features and new materials, whose stand-out attributes are visible to the eye and palpable to the touch. 25 per cent (by weight) of the plastic used in the interior of the BMW i3 is recycled. The textiles selected for the seat surfaces are made entirely from recycled fibres, ensuring the surfaces display impressive naturalness and quality. The textiles for the roofliner, interior trim, boot lining, instrument panel and floor mats are likewise the product of a sustainable production process. The door trim panels of the BMW i3 are made from kenaf fibres, a plant from the mallow family whose natural structure remains recognisable after the treatment process. Eucalyptus wood from certified plantations in Europe provides the raw material for parts of the instrument panel, while the leather set aside for the interior of the BMW i3 is tanned in a natural process using extract of olive leaves. This rigorous sustainability-focused selection of materials allows the design of the interior to play a major role in securing the BMW i3’s outstanding level of environmental compatibility. Moreover, it provides an immediate window into the all-embracing concept underpinning the world’s first premium car developed from the outset to be driven purely on electric power. Specifications of the BMW i3, valid from 03/2014. Please find attached the specifications of the BMW i3, valid from 03/2014. Το BMW i3 για πρώτη φορά στη Θεσσαλονίκη. Κηφισιά. Το BMW i3 είναι μία ασυμβίβαστη και ελκυστική λύση που απαντά στις ανάγκες της προσωπικής μετακίνησης του παρόντος και του μέλλοντος στις αστικές περιοχές. Το πρώτο premium αυτοκίνητο σε όλο τον κόσμο που σχεδιάστηκε για να λειτουργεί αποκλειστικά με ηλεκτροκίνηση, επισκέπτεται για πρώτη φορά τη Θεσσαλονίκη 25 με 30 Σεπτεμβρίου 2014. Το κοινό της Θεσσαλονίκης, θα έχει την ευκαιρία να δει από κοντά το BMW i3 στο Mediterranean Cosmos, να ενημερωθεί για τα ιδιαίτερα χαρακτηριστικά του αυτοκινήτου αλλά και να κλείσει ένα μοναδικό test drive. Τα test drives μπορούν να προγραμματιστούν είτε στο περίπτερο BMW i στο εμπορικό κέντρο, είτε καλώντας στο τηλεφωνικό κέντρο της BMW Hellas στο 210 9118101. BMW i3 wins Green Car of the Year Award 2015. 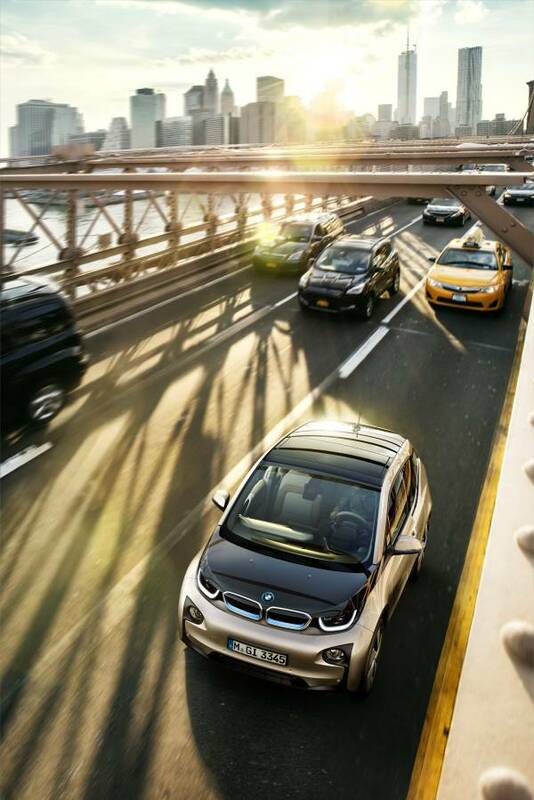 Numerous accolades highlight the success of the BMW i3 in its first year on the market. Munich. With the Green Car of the Year Award 2015, the BMW i3 has added a further trophy to an impressive raft of honours in its first year on the market. It was chosen for this award, presented by Green Car Journal at the Los Angeles Auto Show 2014, as the first dedicated all-electric vehicle in the premium segment. This latest honour, which adds to a long tally of awards the BMW i3 has picked up over the past months, is a further endorsement of this model’s unique sustainable mobility concept. More than 12,000 BMW i3s have already been sold since November 2013. The presence of more and more of these vehicles on the roads of cities all over the world is clear proof that it is now possible to successfully mate zero tailpipe emissions with premium-class driving pleasure, and that this groundbreaking combination is here to stay. One year after its launch, the BMW i3 is already the third best-selling all-electric automobile on the market. 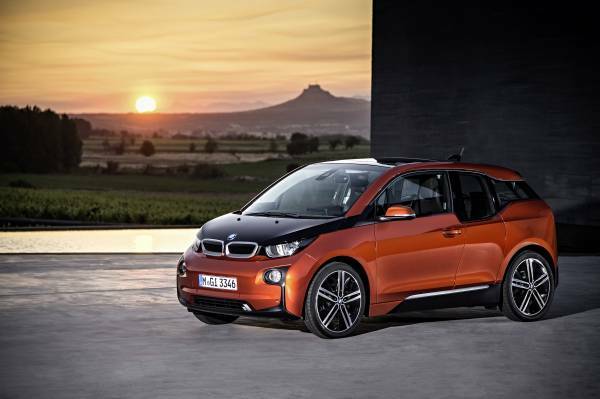 Early adopters of the BMW i3 in Germany praise its sporty performance in particular. This is based on a 125 kW/170 hp electric motor, which offers highly responsive acceleration, and advanced chassis engineering. These drivers mainly use their BMW i3 for everyday urban driving and for commuting to work. For the most part they charge the lithium-ion battery overnight, at home. These first customers’ main reasons for buying the first electric vehicle from the BMW Group are its integrated sustainable mobility concept and BMW’s acknowledged technological expertise. Stand-out features of the BMW i3 in the eyes of its first German customers are its carbon-fibre (CFRP) passenger cell, renewable interior materials, mature powertrain engineering, state-of-the-art connectivity, and styling which these customers perceive as “futuristic”. Demand for this electric vehicle, which can optionally be supplied with a range extender, is outstripping expectations. Both in number and diversity, the string of awards the BMW i3 has picked up – starting before the market launch and continuing on an upward trend ever since – is quite exceptional. In Germany, no sooner had pre-launch sales begun than the BMW i3 won the Green Steering Wheel 2013 award – one of the categories in the Golden Steering Wheel competition hosted by Auto Bild and Bild am Sonntag – and was voted best car in its class in auto, motor und sport’s Best Cars 2014 awards. It also won two readers’ awards from Auto Zeitung magazine, plus the Auto Trophy 2013 and the Green Mobility Trophy 2014. On the international stage, too, the successful market launch of the BMW i3 was accompanied by very positive ratings in opinion polls and independent expert reviews. Highlights to date include the UK Car of the Year Award, the Next Green Car Award, the Green Car of the Year Award, the Fleet Hero Award and a class win in the Sunday Times Top 100 Cars list (all of these in the UK), the Special Jury Award in the Swiss Car of the Year Award and a win in the French Trophées de l’Argus awards. In April 2014, a jury of motoring journalists from across the world named the BMW i3 World Green Car of the Year and World Car Design of the Year. The BMW i3’s groundbreaking and individualistic exterior and interior design also earned it many other accolades, including the German Design Award, the iF gold product design award and the Automotive Interiors Expo Award, while the French edition of GQ magazine named BMW i Head of Design Benoit Jacob “Designer of the Year”. In further tributes, Auto Bild voted the BMW i3 Design Innovation of the Year, and readers of Auto Bild Klassik named it Classic of the Future. The latest honour, the Green Car of the Year Award 2015, presented at the LA Auto Show, is a further tribute to the BMW i3’s all-round sustainable mobility concept. The evaluation by Green Car Journal was based on the BMW i3’s zero emissions at the point of use, its innovative lightweight design and the high percentage of sustainably produced materials used in its manufacture. Green Car Journal specialises in reporting on sustainable, efficiency-enhancing technologies and pioneering trends in the automotive industry and has been hosting the Green Car of the Year Award annually at the LA Auto Show since 2005. This year’s show is open to the public from 21 to 30 November. Το BMW i3 αναδείχτηκε Green Car of the Year 2015. Μόναχο. Με τον τίτλο Green Car of the Year 2015 (Πράσινο Αυτοκίνητο της Χρονιάς), το BMW i3 προσθέτει μία ακόμα επιτυχία στην εντυπωσιακή λίστα βραβείων που κατέκτησε την πρώτη χρονιά της κυκλοφορίας του. Το βραβείο που απένειμε το Green Car Journal στα πλαίσια του Σαλονιού Αυτοκινήτου του Los Angeles 2014 τιμά το BMW i3 ως το πρώτο πλήρως ηλεκτρικό όχημα της premium κατηγορίας. Αυτό έρχεται να προστεθεί σε ένα σερί επιτυχιών για το BMW i3 τους τελευταίους μήνες και επιβεβαιώνει τη μοναδική του φιλοσοφία βιώσιμης μετακίνησης. Πάνω από 12.000 BMW i3 έχουν πουληθεί από το Νοέμβριο του 2013. Η παρουσία όλων και περισσότερων τέτοιων οχημάτων στους δρόμους των πόλεων όλου του κόσμου αποδεικνύει περίτρανα ότι ο επαναστατικός συνδυασμός μηδενικών εκπομπών ρύπων και premium οδηγικής απόλαυσης είναι όχι μόνον εφικτός αλλά και πολλά υποσχόμενος. Ένα χρόνο αφότου λανσαρίστηκε, το BMW i3 είναι ήδη τρίτο σε πωλήσεις από τα αμιγώς ηλεκτρικά αυτοκίνητα της αγοράς. Οι πρώτοι αγοραστές του BMW i3 στη Γερμανία εκθειάζουν κυρίως τις σπορ επιδόσεις του. Αυτές απορρέουν από τον ηλεκτροκινητήρα 125 kW/170 hp, που προσφέρει άμεση απόκριση κατά την επιτάχυνση και τον προηγμένο σχεδιασμό του πλαισίου. Οι οδηγοί αυτοί χρησιμοποιούν το BMW i3 τους για καθημερινές διαδρομές στην πόλη και μετακινήσεις στη δουλειά. Κατά κανόνα φορτίζουν τη μπαταρία ιόντων λιθίου τις νυχτερινές ώρες στο σπίτι. Κύριοι λόγοι που οδήγησαν τους πρώτους πελάτες στην αγορά του πρώτου ηλεκτρικού μοντέλου του BMW Group ήταν η φιλοσοφία βιώσιμης μετακίνησης και η αναγνωρισμένη τεχνογνωσία της BMW. Τα χαρακτηριστικά του BMW i3 που κάνουν τη διαφορά είναι ο κλωβός επιβατών από ανθρακονήματα (CFRP), τα ανανεώσιμα υλικά της καμπίνας, η ώριμη τεχνολογία του συστήματος κίνησης, η προηγμένη συνδεσιμότητα και το ‘φουτουριστικό’- κατά γενική ομολογία - στυλ. Η ζήτηση γι’ αυτό το ηλεκτρικό αυτοκίνητο, το οποίο προαιρετικά διατίθεται με σύστημα επέκτασης αυτονομίας υπερβαίνει τις προσδοκίες. Τόσο σε αριθμό όσο και σε ποικιλία τα βραβεία που έχει κατακτήσει το BMW i3 – ξεκινώντας πριν καν λανσαριστεί και συνεχίζοντας με αμείωτη ένταση από τότε – είναι πραγματικά εντυπωσιακά. Στην Γερμανία, πριν καλά-καλά αρχίσουν οι πωλήσεις, το BMW i3 κέρδισε το βραβείο Green Steering Wheel 2013 (Πράσινο Τιμόνι) – μία από τις κατηγορίες του διαγωνισμού Golden Steering Wheel (Χρυσό Τιμόνι) που διοργανώνει το Auto Bild and Bild am Sonntag – και ψηφίστηκε το καλύτερο αυτοκίνητο στην κατηγορία του στο θεσμό Best Cars 2014 του Auto , motor und sport. Επίσης κέρδισε δύο βραβεία αναγνωστών του περιοδικού Auto Zeitung, καθώς και τα Auto Trophy 2013 και Green Mobility Trophy 2014. Αλλά και στη διεθνή σκηνή, στο επιτυχημένο λανσάρισμα του BMW i3 προστέθηκε η εξαιρετικά θετική αποδοχή του όπως καταγράφηκε σε ψηφοφορίες του κοινού και κριτικές ανεξάρτητων ειδικών. Από τις σημαντικότερες διακρίσεις μέχρι σήμερα είναι: UK Car of the Year (Αυτοκίνητο της Χρονιάς στη Βρετανία), Next Green Car (Επόμενο Πράσινο Αυτοκίνητο), Green Car of the Year (Πράσινο Αυτοκίνητο της Χρονιάς), Fleet Hero Award και μία νίκη κατηγορίας στις λίστα με τα 100 Κορυφαία Αυτοκίνητα των Sunday Times (όλα αυτά στη Βρετανία), το Special Jury Award (Ειδικό Βραβείο των Κριτών) στο θεσμό Ελβετικό Αυτοκίνητο της Χρονιάς και μία νίκη στα Γαλλικά βραβεία Trophées de l’Argus. Τον Απρίλιο του 2014, μία κριτική επιτροπή εκπροσώπων του ειδικού Τύπου από όλο τον κόσμο απένειμαν στο BMW i3 τους τίτλους World Green Car of the Year (Παγκόσμιο Πράσινο Αυτοκίνητο της Χρονιάς) και World Car Design of the Year (Παγκόσμια Καλύτερη Σχεδίαση Αυτοκινήτου της Χρονιάς). Η επαναστατική και εξατομικευμένη σχεδίαση εξωτερικού και εσωτερικού του BMW i3 του χάρισε επίσης πολλές ακόμα διακρίσεις μεταξύ των οποίων German Design Award (Βραβείο Γερμανικής Σχεδίασης), το χρυσό βραβείο προϊοντικής σχεδίασης iF και το Βραβείο Automotive Interiors Expo, ενώ η Γαλλική έκδοση του περιοδικού GQανέδειξε τον Επικεφαλής Σχεδίασης του BMW i Benoit Jacob σε “Designer of the Year” (Σχεδιαστή της Χρονιάς). Μεταξύ άλλων, το Auto Bild ψήφισε το BMW i3 Design Innovation of the Year (Σχεδιαστική Καινοτομία της Χρονιάς), και οι αναγνώστες του Auto Bild Klassik το ανέδειξαν σε Classic of the Future (Ιστορικό Αυτοκίνητο του Μέλλοντος). Η τελευταία διάκριση, Green Car of the Year Award 2015, που δόθηκε στα πλαίσια του LA Auto Show, τιμά για μία ακόμα φορά τη συνολική φιλοσοφία βιώσιμης μετακίνησης του BMW i3. Η αξιολόγηση του Green Car Journal βασίστηκε στις μηδενικές εκπομπές ρύπων του BMW i3 στη φάση της χρήσης του, στην καινοτόμο σχεδίαση ελαφρού βάρους και στο υψηλό ποσοστό των βιώσιμα παραγόμενων υλικών που χρησιμοποιούνται στην κατασκευή του. Το Green Car Journal ειδικεύεται στις αναφορές σχετικά με βιώσιμες τεχνολογίες που αυξάνουν την απόδοση και πρωτοποριακές τάσεις στη βιομηχανία αυτοκινήτου ενώ διοργανώνει το θεσμό Βραβείων Green Car of the Year κάθε χρόνο στο Σαλόνι Αυτοκινήτου του LA από το 2005. Φέτος η Έκθεση είναι ανοιχτή για το κοινό από 21 έως 30 Νοεμβρίου.